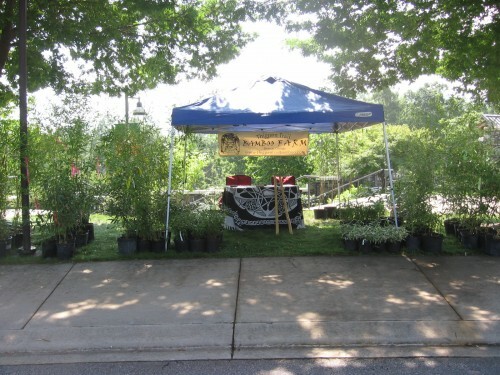 We participate in several plant sales/bamboo events throughout the year and are happy to take pre-orders for anyone wishing to save on shipping costs. See below for info on upcoming events and let us know if we can bring anything especially for you! We also sometimes make less-than-full-load deliveries and have room on the truck for more than one order. We will post dates and locations of any such deliveries here so that anyone nearby (or on the way) may have the opportunity to save on delivery charges. For smaller orders, we maintain waiting lists for a few southern cities, including Atlanta and Savannah (and points between) to combine deliveries and save everyone on freight costs. Contact us for more details or to see if we have a waiting list for your area! FEBRUARY 16, 2019 – SAVANNAH, GA We will have a truck in the Savannah area on Feb. 16, 2019. Also passing through Waycross, Brunswick, Darien and points between. Let us know if you have any bamboo needs and would like to save on freight costs!